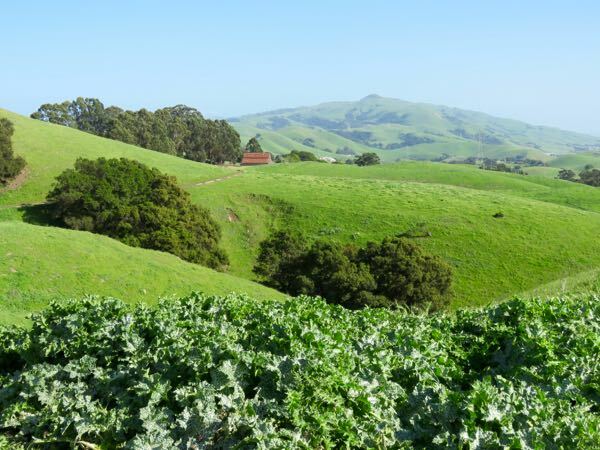 Welcome to Day #1 of Chocolate and Orange Theme Week. Today's Dark Chocolate Orange Sticks were from Trader Joe's (Monrovia, CA). 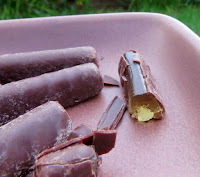 These small sticks were filled with a luminous, orange, soft jelly-like center, and covered in a thin layer of dark chocolate. The naturally tart, orange flavor and dark chocolate balanced the sweetness nicely. 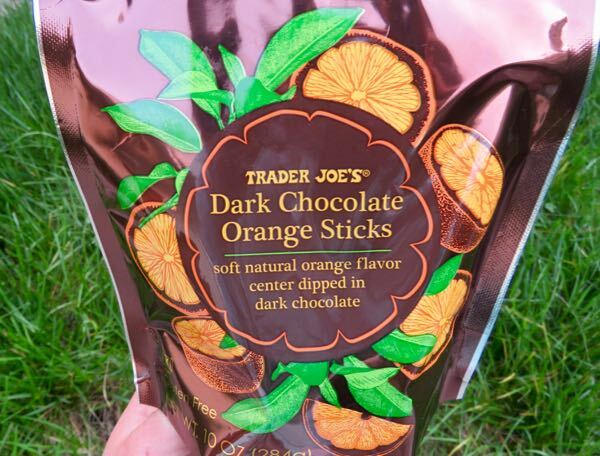 The Dark Chocolate Orange Sticks were also labeled gluten free. Surprise. This is a second, bonus chocolate entry for today (April 8, 2018). Occasionally, there are too many chocolate items to fit in one day; or a planned chocolate may not have turn out exactly as planned. 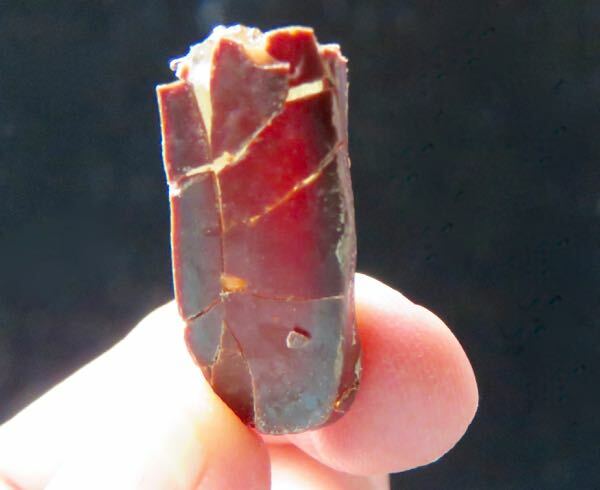 Either way, sampling and featuring another chocolate is the solution. 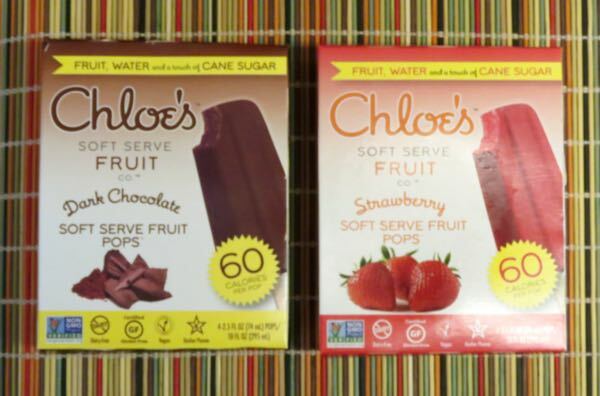 This evening's Chloe's Soft Fruit Pops (New York, NY) were made with just a few ingredients: fruit (bananas), cocoa and organic cane sugar. The Chocolate pop had an authentic cocoa flavor, and was smoother than one would expect given the lack (hurray) of vegetable gums or dairy. 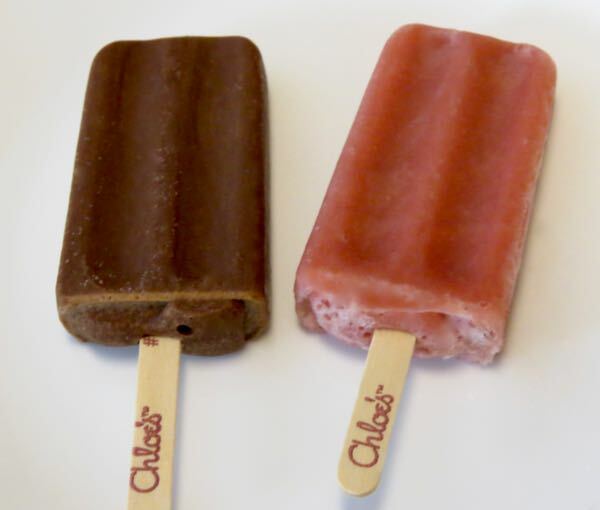 These Chloe's pops were a great way to enjoy chocolate on a warm day—at only 60 calories per pop. And, joining the Chocolate flavor, were two more Chloe's flavors: Strawberry and Tangerine (with orange). 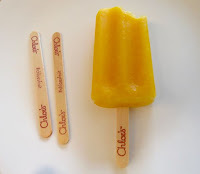 The fruit flavors were light, authentically flavored and delicious. 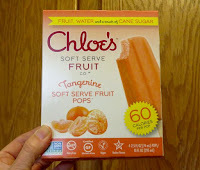 These Soft Serve Fruit Pops also served as a bridge between Day #7 of Chocolate and Strawberry Theme Week and Day #1 of Chocolate and Orange Theme Week. 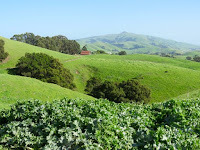 And they provided a refreshing end-of-day snack after a hike in the hills.